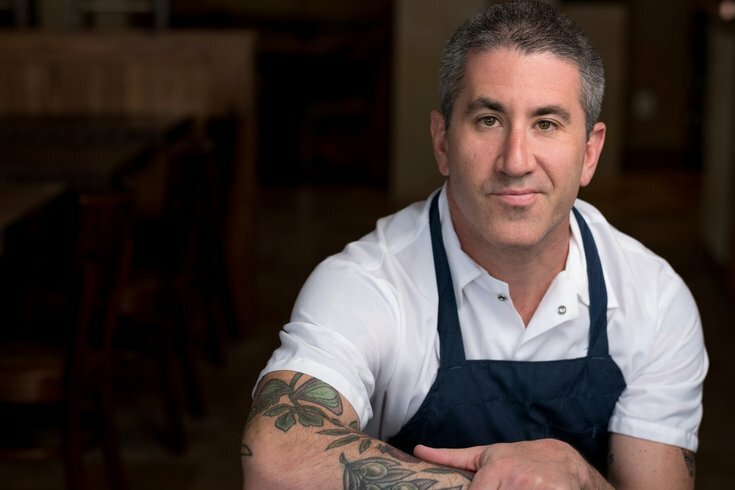 Chef Michael Solomonov and Steven Cook, CookNSolo restaurant partners and co-authors of the new cookbook Israeli Soul (published Oct. 16), will be at the Free Library of Philadelphia's Parkway Central branch tonight. They will discuss their book on stage with Sam Sifton, the food editor of The New York Times and the founding editor of NYT Cooking, the Times’s digital cookbook. The recipes in Israeli Soul are approachable – like the five-minute hummus – with step-by-step instructions and accompanying photos. Those who already own a copy of the cookbook will be able to get it signed by the authors after the discussion. Solomonov, a James Beard-winning chef, is well-known for his modern Israeli cuisine. His flagship restaurant, Zahav, opened in 2008 and has since gained widespread acclaim. Other restaurants in the CookNSolo empire include Goldie, Dizengoff and Federal Donuts. Tonight's event will take place at 6:30 p.m. but space is limited, so try to arrive early if you want to secure a seat. No tickets are necessary, and it's free to attend.